If you are looking to add a new workout to your arm routine, it might be time to look to the past to give you a better future, by trying the Zottman Curl. It’s considered an old school exercise, which makes sense because it was created by and named after George Zottman, also known as the strongest man in American circa 1890. Yup, picture an old-timey strongman, minus the mustache, and you’ve got George Zottman. Born all the way back in 1869 in Philadelphia, Zottman was a mountain of a man, weighing in at 218 pounds with 24-inch shoulders, 19-inch biceps, and 15-inch forearms. The biceps and forearms are courtesy of the curl that bears his name. Zottman was so ahead of his time in the world of fitness and strength training that he still holds records to this day, including a seated clean and press with a 175-pound dumbbell. The Zottman curl stands out versus other curls because it works several different muscles in your arms and allows you to get a good supination and pronation of the palm, for one. Supinating up, you are going to focus on peaking the bicep and the rotation at the top position should be slowly letting down. That is really going to work the eccentric contraction; tearing those muscle fibres up so you can rebuild them up bigger and stronger. This movement is also going to help build the brachialis, the muscle in the upper arm that flexes the elbow joint, and the brachioradialis, the muscle in the forearm that flexes the forearm at the elbow. When performing this exercise, ensure your elbows remain tucked in throughout the movement. If those elbows start to flare up and out, your biceps do not get the full benefit of the movement. This movement also adds a workout to your extensors in your forearms and makes this a true full arm work out. 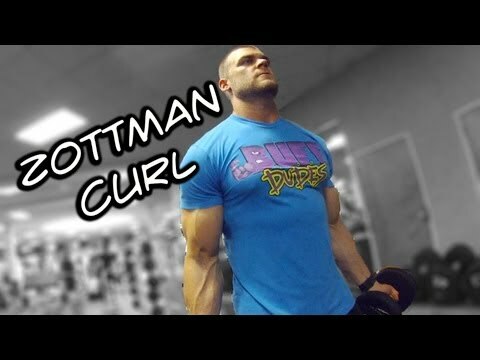 So that’s the BUFF DUDES breakdown of the move, but what do some other experts have to say about the Zottman Curl and how to maximize it’s effects on your arms. This makes the Zottman a great bookend exercise to your next arm day. So, it appears that any arm work out you undertake can benefit greatly from the addition of the Zottman Curl can you can either perform it before any arm workout, as a nice warmup, or after a bicep workout to get a nice burnout. 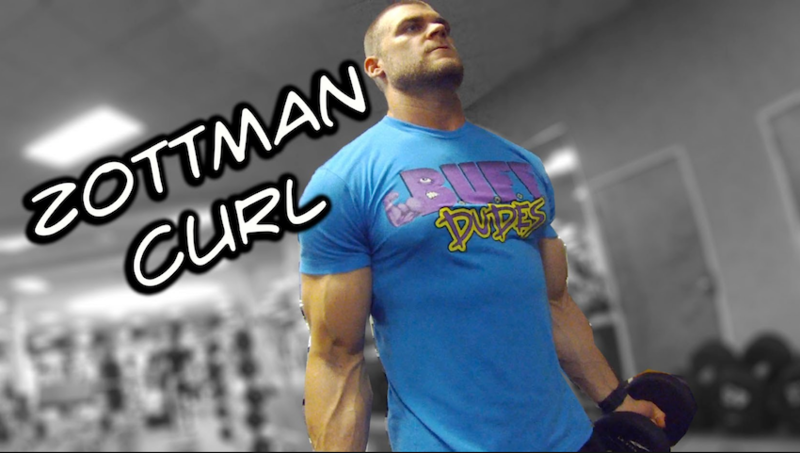 Either way, the Zottman curl is BUFF DUDES, expert and Fit After 45 approved!